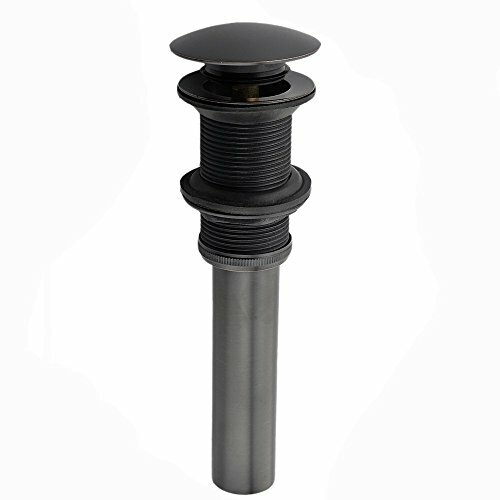 Durable: Stainless Steel and Oil Rubbed Bronze finishes - resist acid and corrosion from daily use. Appearance: Perfect design & matches a wide variety bathroom sink. Good after-sales service: Our goal is to provide high quality service and products, if you have any questions or not 100% satisfied for any reason about our products, put forward to us, we will try our best to help you and answer for you. So don't hesitate, purchase with confidence. Faucet Height (Pop Up Open): 8 ½"
Faucet Height (Pop Up Close): 8"
If you have any questions about this product by Comllen, contact us by completing and submitting the form below. If you are looking for a specif part number, please include it with your message.